Elkins, West Virginia was a favorite hot spot for Western Maryland enthusiasts. 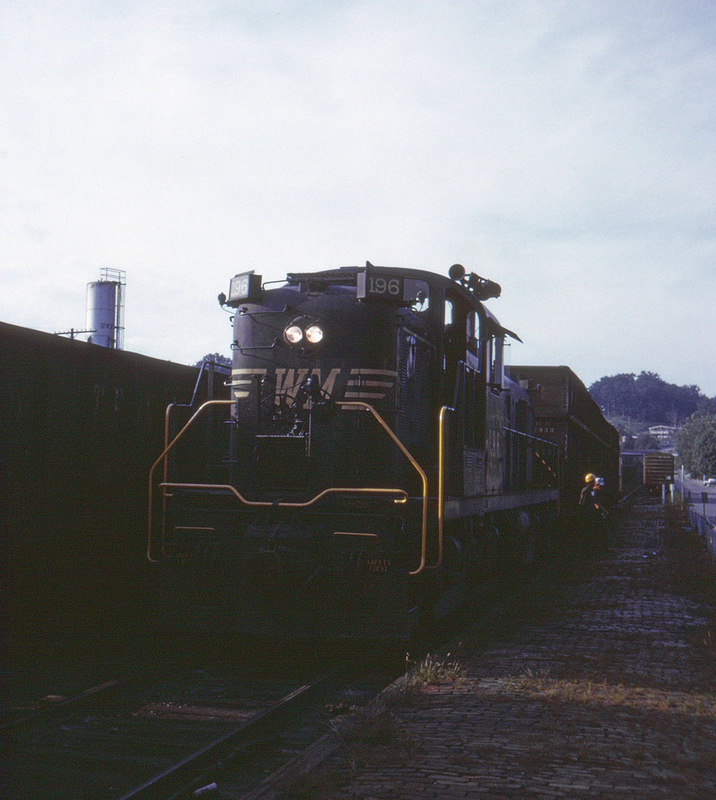 At one time a network of coal mining branches radiated out from here, as well as a connecting line to the mainline at Cumberland, Maryland. The next move of Alco RS-3 no. 196, still in the older black and gold WM colors, is apparently the topic of discussion of two railroaders in regulation hard hats.